The end of this decade is going to be wrecked by monsters. At least that's Warner Bros. new plan. They have decided to delay Godzilla 2 by 9 months. While that is almost a full year, fans won't have to wait so long for the next installment in this battle of the giant beasts. The follow-up crossover Godzilla Vs Kong will arrive just a mere 14 months later. Godzilla 2 was originally set to be unleashed June 8, 2018. It has now staked out prime pre-summer real-estate in 2019, taking Batman V Superman's old Easter slot of March 22. The sequel to 2014's American Godzilla from director Gareth Edwards had the June 8 weekend completely to itself, though it was positioned to open just one week after Han Solo: A Star Wars Story, the second spinoff in that franchise. And it would have come one week before Pixar's hugely anticipated sequel Toy Story 4, with Jurassic World 2 arriving in its third weekend of release. According to Deadline, Godzilla 2 would have faced off against Transformers 5 on June 8, though their previous story on that sequel claims it is coming on June 23. IMDB still has the next installment of Transformers as opening June 23, but it will likely get booted out of that slot, cause we can't imagine Paramount would let their intended reboot go up against Jurassic World 2. As you can see, Godzilla 2's new spring release date may position the King of All Monsters to be the King of the Box Office, too. In it's new March 22, 2019 release date, it does have some slight competition. Paramount Pictures will be releasing a movie entitled Amusement Park on that same date. While few story details are known about this animated feature, it does feature a stellar voice cast headlined by Matthew Broderick, Jennifer Garner, Jeffrey Tambor, Kenan Thompson, Ken Jeong, Mila Kunis, John Oliver, and Brianna Denski. Veteran animation director Dylan Brown, heralded for his work on Ratatouille and Finding Nemo, makes his directorial debut. Godzilla 2 will arrive in theaters two weeks after Captain Marvel makes her big MCU entrance. While Godzilla fans surely are looking forward to Godzilla 2, Godzilla Vs Kong is the real blockbuster ticket for this franchise, which will serve as a crossover with Kong: Skull Island, coming March 2017. It has yet been announced if any cast members from that film will appear in Godzilla Vs Kong, but the ensemble is pretty strong with Tom Hiddleston, Brie Larson and Samuel L. Jackson in the leads. 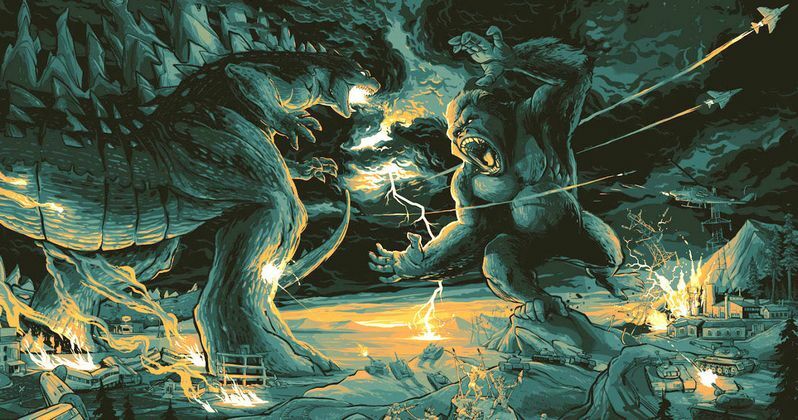 The showdown between two of the biggest monsters in the world is being positioned as a summer tentpole and will arrive May 29, 2020. It currently has no competition in that release window. Warner Bros. has also dated an untitled WB Event Movie for Christmas Day, 2018, though no details are given. Their untitled DC Movie slated for June 19, 2020 has been kicked back to July 24, though details are scarce on this DCEU entry as well. The earlier date placed the mystery superhero adventure up against an Untitled Pixar movie in that same slate. Now, it has its new release date all to itself. It is currently the only movie slated for release in July of 2020. Those hungry for Godzilla and disappointed about the longer wait still have Godzilla Resurgence to look forward to this summer, when Toho releases the original monster in Japanese theaters this July. Though, a stateside date has yet to be announced.